Quickspin is a Swedish software development company that provide video slots to some of the biggest companies int he industry. Their slots have unique stories and themes and this success has allowed them to have 36 slots available on their platform, with 30 compatible with mobile devices and 12 new slots to be released in 2018. Read more online uk slot games by Quickspin. For more information about mobile slots, click here. 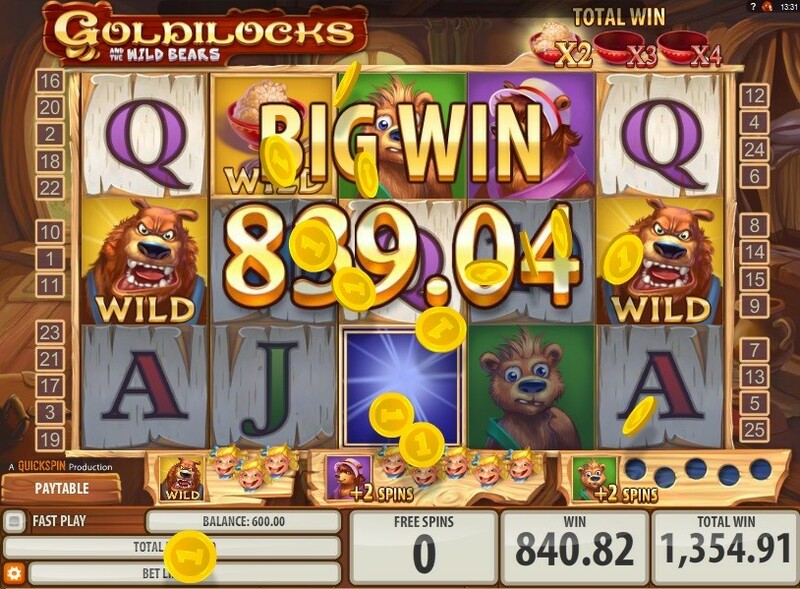 The Goldilocks slot is a fun online slot game that takes players back to their childhood. Inspired by the classic fairytale novel, you’ll see all the memorable characters on the reels that will win you great cash prizes. The symbols include the simple playing card numbers and letters (10, J, Q, K, A) which gives small rewards of 2 to 100 coins for landing 3 to 5 matching symbols. The tiger paying symbols include mummy bear, baby bear, daddy bear and the teddy bear symbol. The teddy bear can pay up to 200 coins and daddy bear pays up to 250 coins. 4 bonus symbols can be found in this slot, this includes regular wilds, porridge bowl wilds, Goldilocks free spins and goldilocks scatters. The regular wild symbol that is illustrated by the house with ‘wild’ written on it can substitute all symbols other than the scatter to help form winning lines. They can also give out instant wins of up to 1000 coins when there are 3 or more on the reels at one time. The porridge wild is a multiplier wild symbol. It substitutes all regular symbols other than the setter to help form winning lines and these prizes will be multiplied by the number of porridge owls on the reels. Land 3 of the multiplier wild symbols and you receive 4x your win. The Goldilocks scatter symbols can land on reels 2, 3 and 4 and when they do simultaneously they will trigger 10 free spins. What’s even better then the scatter symbols is the Goldilocks progressive scatter symbols. Each of these moves up the ladder and help to turn more bear symbols wild. Daddy bear will turn wild first after landed 3 scatter on the ladder, this will award you with 2 free spins and a wild bear. Next is mummy bear who will be actinide wild when you land another 5 scatter symbols. For a reward, you will get an additional 2 free spins and a wild mummy bear symbol. Land 5 more symbols and you’ll make the baby bear become wild giving you an extra 2 free spins. This round is a great way to win big if you land the right symbols. Take a trip down memory lane with this slot and relive one of the classic childhood fairy tale novels. 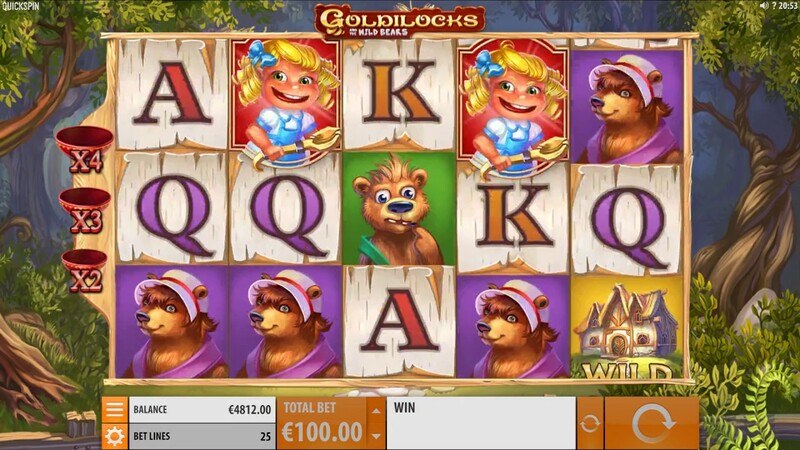 If you enjoyed Goldilocks why not try another online slots, learn more.